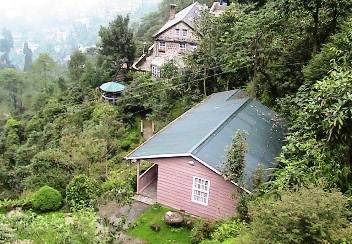 If you are looking for a vacation stay in a property away from the busy town center of Darjeeling, and intimately amidst the nature while experiencing unabated views of the Eastern Himalayan range including the dazzling snow peaks of Kanchenjunga, then Rhodidendron Dell may be the answer for you. This is the property of the prominent Tamang family located 3.5 kms away from the town center and on the extension of Gandhi road that leads to Ghum. The property is laid out on a vast stretch of sprawling landscape overlooking a lovely valley. 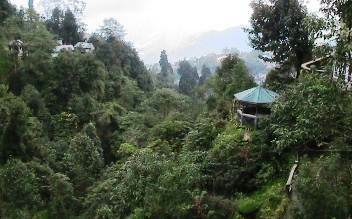 As the name suggests, the property is full of flowering Rhododendron trees that Darjeeling is so well known for. There are some 16 varieties of Rhododendrons that you can find here. The property has been taken over on 10 years lease by Purna, the younger brother of my friend Paras. 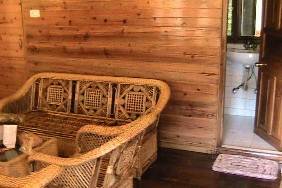 He has converted it into a tourist accommodation offering 2-star amenities. From the road there is a concrete stairway with 40 odd steps that leads through the trees & shrubbery down to the main building of the property. Downstairs in the main block there is a nice lobby and an in-house restaurant. Upstairs there are 6 double deluxe rooms. 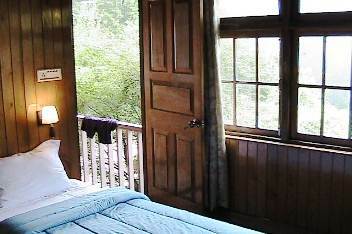 Some of the rooms that face the road, have a small private balcony. The rooms facing the backside have sweeping views of the valley and the mountain range. 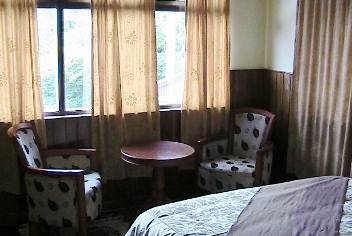 The rooms have queen size or twin beds and are well furnished with modern amenities. The rooms are fairly spacious and have a small seating area as well with cushioned chairs and a table placed next to the window. There are tea/coffee sets also kept in the rooms. All rooms have TVs with satellite channels, intercom phones etc. 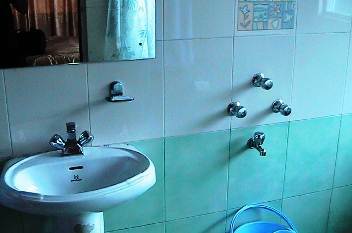 The bathrooms are also quite large and well equipped in modern style. There are geysers in all the bathrooms with shower mixers for hot & cold water. However the geysers work only when the main power supply is available. While all the rooms are partially wood paneled, there are two rooms in this block that I like the most. They are located in an extension from the upper part of the main building that has a cottage like look. There are two rooms here that are completely wooden paneled and having a common balcony in front. The ceiling is wood finished as well offering a warm and charming ambience. You get magnificent views from the windows and the balcony. On the backside of the main building, there is a large open veranda. You can access the veranda through a door from the restaurant. This is an ideal place to soak in the sun and view the vast stretch of valley along with the snow covered range in front. Walk down the trail of the property, and you will reach the first pink colored cottage on the right. There is a bedroom and an adjoining seating room. The cottage needs to be booked as a whole and is great for a couple or a small family. The entire cottage is wood paneled giving a warm feel. The bedroom has a twin bed, TV, Phone etc. The seating room has sofas and tables. There are two bathrooms in this cottage, one attached to each room. When I asked why, they said that earlier the two rooms were used as two independent bedrooms. 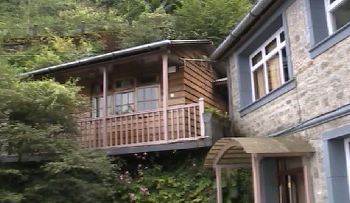 So two couples could book separately and stay in the cottage. No longer so. One room has been converted into a seating room, however the two bathrooms have been retained. There is a balcony in front. The view is wonderful. There is also a place for bar-b-que next to this cottage. On the other side of the property there is another cottage that has two floors. In the lower floor there is a seating area and dining space. In the upper floor there are two bedrooms with attached bathrooms. This cottage has an open patio on one side. Again as the earlier one, this cottage is also completely wood paneled from inside. There is a walking trail that leads through the property and down below to a wonderful nursery of flowers. On the way and tucked in a corner, there is a two storied stone finished private building built in a British style. 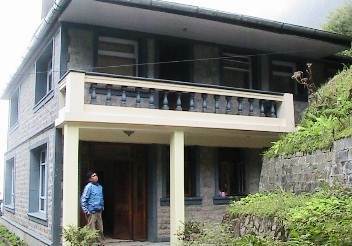 This is the residence of the Tamang family (the owners of the property) and is privately used. As you walk along by the side of the property, there is a water falls that flows through the rock. A small concrete footbridge from here leads to the private building, where of course tourists are not allowed to enter. The trail goes all the way down to the nursery at the bottom. On the way you will find different kinds of flowering plants and shrubs including Rhododendrons of various types, Camellia, Chinese Maples, local medicinal plants and lot more. below there is also a cowshed and you can drink fresh milk over there. Restaurant in the main building serving Indian and local cuisine. Breakfast, lunch and dinner are offered by the restaurant. It operates between 8am to 10pm. Room service and Doctor on call. Backup power to support designated lights in the premises and rooms during the evening hours. Rooms have internet ports. Room heaters are provided in the rooms during winter. Guests staying more than two nights in the hotel will get free shuttle (car) for drops and pickups at the town center or the main market. For those who stay for only one night, they too can avail the drop and pick up service at a reasonably low rate to cover the cost of the vehicle. Sightseeing tours and transfers can be arranged by the hotel. There is a plan to introduce snooker table and a fully stocked bar in the near future. Although the property is old, the rooms and cottages have been completely renovated recently. All furnishing are brand new including the fittings and fixtures. From the open veranda of the main building and from the windows of most of the rooms you can let your vision travel for miles through the valley into the horizon, with mountains rising from two sides and ending with the snow clad peaks of the Himalayas. It's a splendor that all nature lovers dream to view. You are away from the bustles of the town. It's a quiet place spreading across acres of sprawling land area on an open hills slope and amidst flowering plants and trees. If this is what you are looking for, this hotel can be a great place for you. The place can also be a great choice if you are planning to come in a group and want to enjoy exclusivity in a scenic settings. You have a choice of rooms and cottages in the same property, and a lovely trail through the hills to stroll and even take your morning walk. The trail of course takes you through some steep stony steps as well. Out of 30 odd varieties of Rhododendrons present in Darjeeling, you get to see 16 of them right here in this property. There are no shops or other entertainment around. For that you will need to take the hotel provided car to go all the way to the town center. Unless you travel and take your meals in the town, you will be restricted to take all your food in the in-house restaurant. They need to offer wider varieties of food of different culinary taste, otherwise this can be a bottleneck. The food in the restaurant has to be ordered in advance. 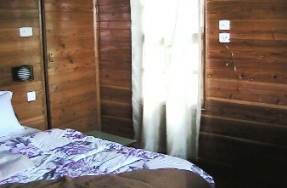 Since this is a newly leased accommodation, the staff are all new and may at times fail to offer the kind of professional service you expect when you pay such 2 Star tariff. Rhododendron Dell. 26 Gandhi Road (Late Madan Tamang's family property), Darjeeling 734 101, India. It's located 3.5kms from the town center and takes about 15 minutes to reach by car.